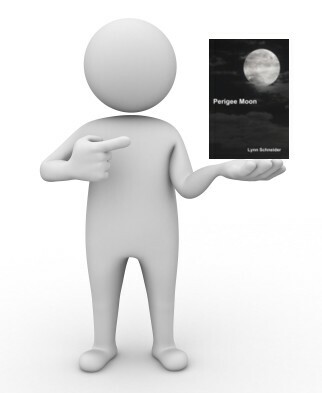 This entry was posted in Book Reviews and tagged baby boomer fiction, book review, books about baby boomers, boomer-lit, Perigee moon, women's fiction by Lynn Schneider. Bookmark the permalink. Thanks for the mention, Lynn. Is always appreciated! Thanks for linking to Book Blogger Directory. I haven’t heard of that site, so I’ll have to go check it out. Exactly. To pay that much you’d have to realize a bump up in sales of more than that or it wouldn’t make sense to do it. I suppose there are stories out there where it made a difference but I don’t think I’m willing to take that chance. I am considering Publisher’s Weekly though. My publisher has requested that their authors don’t seek out formal reviews without checking with them first in case they also solicit that review site–they don’t want a duplicate request sent, which is apparently a faux-pas in the publishing world (this does not apply to personal blog reviews and such). But I’m not expecting any formal reviews on The Seneca Scourge, because the publisher admits that for small publishers, getting reviews has become exceedingly difficult, especially when they are primarily an e-book publisher like mine is. So I’m not holding my breath. You’ve given us another informative blog, Lynn. I think I will spend the money and give Publishers Weekly a go. I’m a storyteller – not especially ‘literary’ so they may roast me. But worth a try. Cheers! Thanks, June. I think I might go with Publisher’s Weekly too. I stopped by your blog and left you a coment. Wow, it all sounds exhausting. I give you so much credit for your patience. After reading this, I am doubly sure I could never be an author. My attention span is way too short. I did this same journey and only found a few (a couple) that actually produced free reviews worth reading. I’ll plug my favorite blog book reviewer here and note that I have no idea what her current schedule is like. I also hear that amazon reviews will help increase sales. Not sure if this is true all the time, but I am having trouble accumulating them as well. It’s a slightly different topic, but it hard to get people to spend their time to write even a one liner review. The handful of reviews that I have posted from non-relatives (thanks mom), are all 5 star, so I’m getting the feeling that my book is entertaining. But this whole marketing thing is way harder than I would have ever imagined. Thanks for the comment and the reference. And thanks for liking, and while your comment came in I was off reading your post about those nasty birds. That was after I read the post about the comment from Someone. Some people just don’t have a sense of humor do they? They’d probably give your book a one-star rating, just to be mean. Anyway, I think your blog is very entertaining. I am considering following you. That is a commitment because I actually read all the blogs I follow. But I like yours a lot. Well thank you very much for those kind words. Moreover, thank you for putting a space inbetween “a” and “lot”. I make too many typos and often fix (update) them after my wife points them out.